The number of grandparents raising grandchildren is on the rise. They face emotional, economic, social, financial, and legal challenges at a time when their parenting days seemed to be over. The sound of the baby crying brings the older woman up from a deep sleep. Tonight the baby is teething and restless, and the baby’s mother has bronchitis as well, so Granny is taking the night shift. She gets up, picks up her grandson, and works on warming the bottle. Looking at the clock, she notes that there is just another hour or so until it is time to get up. Granny snuggles into the couch with the baby, treasuring the quiet moments until the new day begins, knowing that sleep is over for the night. Chen and Liu (2012) discussed various roles of grandparents that range from uninvolved, to occasional babysitting, to living with children and their families, and finally full-time custodial care. Around the world, grandparents are becoming more integral to family life, and they are filling more of these family functions in response to marital instability and broader demographic shifts of their own adult children. This is a substantial shift from the traditional role of grandparents, that of “pleasure without responsibility” (Backhouse and Graham 2011). as death of the parents. There is a trend by welfare authorities towards placing at-risk children into kinship care rather than foster care (Backhouse and Graham 2011). security as well as a sense of stability for the first time in their lives (Backhouse and Graham 2011). Additionally, today’s grandparents face the reality of bringing up a new generation where the cultural norms and values are quite different. This article will review several of the challenges and rewards of raising grandchildren, including financial, physical and emotional health, legal, housing and accommodations, social, and support. is checking her calendar for a schedule of the day’s work meetings, after-school obligations, and what will be for dinner. The children have been with her a while now, and this routine has become her daily schedule—incorporating their needs into her lifestyle. It seemed easier when she was younger and these were her children, but, having some coffee, she realizes she will persevere. grandparents is viewed. These include perception of mentors for younger parents, and the transmitters of traditions, cultural values, and heritage. million grandparents responsible for grandchildren remained in the labor force, and 670,000 disabled grandparents were responsible for grandchildren. Finally, 55 percent reported doing so for three or more years, a factor most common in black grandparent caregivers. The U.S. Census Bureau (2010) reported that while there were 2.2 million grandparents raising grandchildren who were at or above the poverty level, there remained 580,000 grandparents doing so with income levels at or below the poverty level. The median income for families with grandparent householders responsible for grandchildren under eighteen years of age was $45,000. Among these, in those households where the parent was absent, the median income dropped to $33,000 “Compared with traditional grandparents, custodial grandparents are 60 percent more likely to be living below the poverty threshold” (Weaver 2013). (especially methamphetamine) leave many children orphaned with parents unable to care for them (Tremblay et al. 2014). Harnett, Dawe, and Russell (2012) supported that the placement of children within kinship relationships is preferred over the foster care system. These benefits included “lower levels of internalizing and externalizing behavior problems, and greater competence in adaptive behaviors”. In addition, children in kinship arrangements tended to fare better in education and achieving career outcomes than those in foster care. be unfamiliar to the older adults. Probably the most significant worry involves the fear of what happens when the grandparents are no longer able to care for the children. agreed upon and adhered to. In many cases, grandparents become the sole caregivers but in others, they may provide child care duties as part of a multigeneration household. In return, they may receive additional support as they grow older and financial security while allowing parents the ability to pursue economic or educational goals as an informal intergenerational contract (Chen and Liu 2012). Interestingly, taking over responsibility for raising grandchildren can cause problems in other grandparent/grandchild relationships, as the grandchildren still in their homes may feel jealous or resentful of the ones living with their grandparents (Goyer 2011). professional advisors should be able to assist their clients in finding the necessary resources. and Graham 2011). Financial strain may become more significant as the children grow older due to increased costs for clothes, shoes, school, sports, and other activities. Overall, according to Weaver (2013), older adults comprise a larger part of the workforce than previously, in part due to the reduction of the average age of a first-time grandparent to forty-eight rather than the previous age range of sixty to seventy. If these older adults choose or need to leave the workforce to provide custodial or even participatory care, future financial considerations need to be considered as formal earnings cease. There are impacts on Social Security as well as continued contribution to 401K plans to be considered. It is important for them to sit down with financial advisors to thoroughly review and understand their situation and create a plan that incorporates all of the variables. Additionally, for grandparents providing after-school or all-day care, the parents are generally the ones who benefit the most in child-care savings while grandparents sacrifice future and present income. Grandparents who are still employed may need to make adjustments in order to maintain their positions, or find that they need to find work based on their new situations. For those in professional careers, it may be necessary to locate external options for day care including evening hours. Those needing to find work, should check with the Senior Community Service Employment Program, sponsored by the U.S. Department of Labor Training and Employment Administration, which works with museums, senior centers, national parks, and others, and provides assistance as well as job training (Goyer 2011). well as an increased sense of frustration and anxiety over the loss of support and resources (Backhouse and Graham 2012, Whitley, Kelley, and Campos 2011). Harnett et al. (2009) also reported that there is distress relating to trauma and grief resulting from their own children’s inability to care for the grandchildren due to negative consequences. child welfare authorities, and legal system can be overwhelming and in many situations can outweigh the benefits. While several studies have reported inconclusive results regarding well-being of grandparents with increased stress levels and deteriorating health conditions, others report that the grandparent and grandchild relationship constitutes an important element of the social support network of the older adult (Chen and Liu 2012). bound with a sense of injustice in the loss of their traditional role and return to one of parenting. Despite the conflicts and challenges, this qualitative study demonstrated that grandparents-as-parents are committed emotionally, financially, and morally to the welfare of their grandchildren, and will care for them regardless of whether or not they are financially or socially supported. 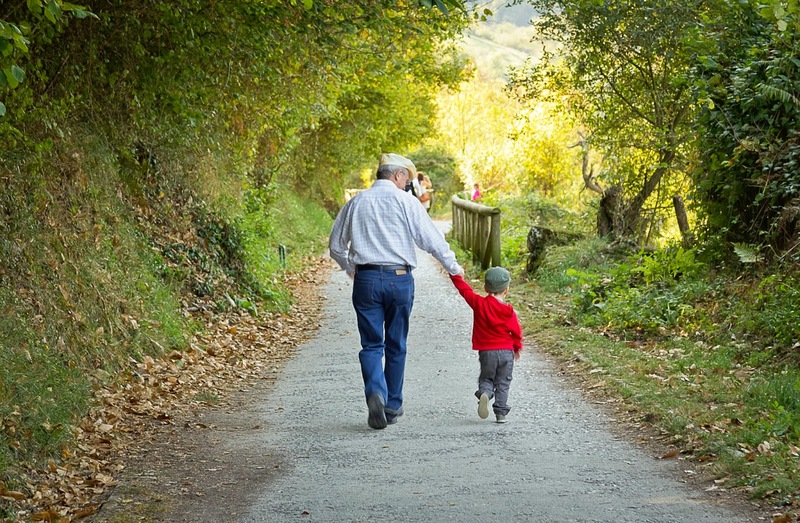 Older adults seeking legal custody of grandchildren encounter multiple barriers. Needs of the children can seem overwhelming, especially when the change of custody is unexpected. If grandchildren are going to be living with the grandparent(s) for an extended period of time, it is important to learn about the laws affecting people who are raising them. can assist by referring grandparents to the proper legal advisor to verify the presence of consent laws in the individual states. While consent laws do not reassign custody, they allow the parents to sign a form giving grandparents the right to conduct these types of business without going to court (Bales 2009). 1. A custody order issued by the judge (Bales 2009). Here the grandparent assumes day-to-day responsibility but the parents retain a legal relationship with the children and could request to resume custody at a later date. 2. Legal guardianship. While this is similar to the custody order, it is usually granted by the probate court and presents several different requirements. 3. Adoption. This is a permanent arrangement, and the relationship between the parents and grandchildren comes to an end (Bales 2009). In any case, if it becomes necessary to go to court for custody or guardianship of the grandchildren, and the parents are still in the picture but currently unable to provide care, it is important to ask the court to establish a set visitation schedule, supervised if needed, to ensure that children have an ongoing relationship with their parents (Goyer 2011). in contact with their children. In all legal situations, the advice and guidance of a qualified attorney is crucially important. CSAs and other professional advisors should refer their clients to a lawyer with training and experience in child custody matters, and one who will effectively represent the best interests of the grandparents and the grandchildren. Susan Miedzianowski is a faculty member for SCSA and chair of the CSA Journal editorial board. With more than forty years in the health care industry, she is an assistant professor of gerontology at the University of Phoenix, Detroit campus, and teaches online courses at several universities. She holds a bachelor’s degree in nursing, a master’s degree in health care administration, and a Ph.D. in human services. Contact her at smiedz@yahoo.com. Grandparents Raising Grandchildren: A Rising Phenomenon was recently published in the Fall 2014 edition of the CSA Journal.